To get to the right offset, press Ctrl+G and type in x195624. 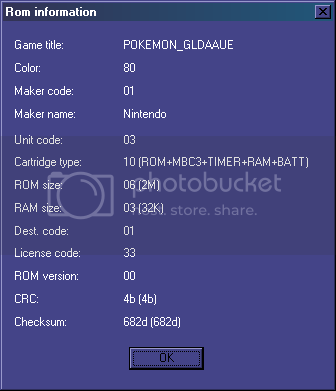 If you still don't see any text, then open your ROM in VisualBoyAdvance and take a screenshot of your ROM information -- it should look like this. Page created in 0.265 seconds with 23 queries.